When I was a young child living in Papua New Guinea, we had a lemon tree outside our back door. A lemon tree of very sour lemons. They were round and yellow. The local name for them was “mulis” (moo-lees). One of the daily rituals in muli season, (which seemed to last most of the year), was to pick mulis off the tree and fill buckets with these little round, yellow treasures. I would help pick them, and we would bring them into the house where my mother would cut them in half, squeeze the juice, and freeze some for drinks and some for pies. But some of the juice would be kept unfrozen in a container in the fridge, ready for use. When guests would drop in, which they often did in this tropical paradise, it was expected that you would offer them an ice cold drink of fresh lemonade. If the guests were special, they might even get a spoonful of passion fruit dropped in as a garnish. I have never lost my taste for fresh, homemade lemonade...especially with a dash of passionfruit! It’s a simple, invigorating drink – and its refreshing taste brings back nostalgic memories to this day. With freshly squeezed lemon juice in one container and another with simple sugar chilling in the fridge, all that’s required is a long, tall glass and a handful of ice and you’re ready to step outside for a sip of lemonade in the shade. Melt water and sugar until it boils. Remove from heat and cool. Stir in the freshly squeezed lemon juice. Chill. In a glass, pour 1 cup lemon juice mixture and 1 cup water. Serve with ice. 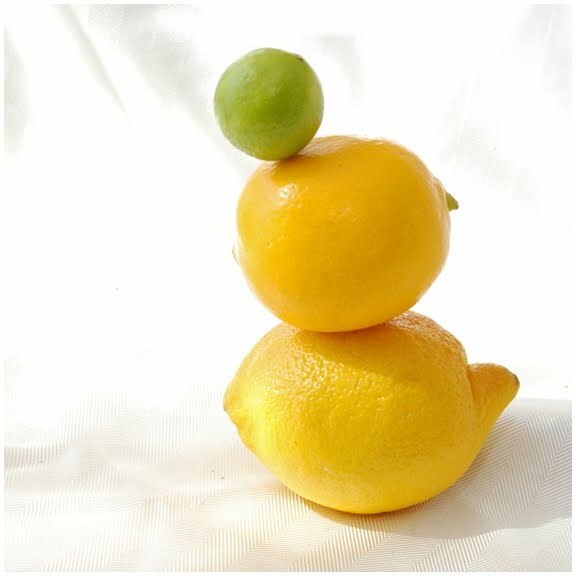 Your lemons are beautiful. I love their taut shiny skin. I've never had lemonade with a dash of passion fruit. That sounds divine. I will definitely be trying this summer because nothing says summer like a nice, cold glass of homemade lemonade. My dad was just talking about homemade lemonade yesterday while I spoke to him sitting on his back deck. How perfect! Beautiful photos!! Love lemons and these pictures are beautiful! How nice to have a lemon tree! lemons! 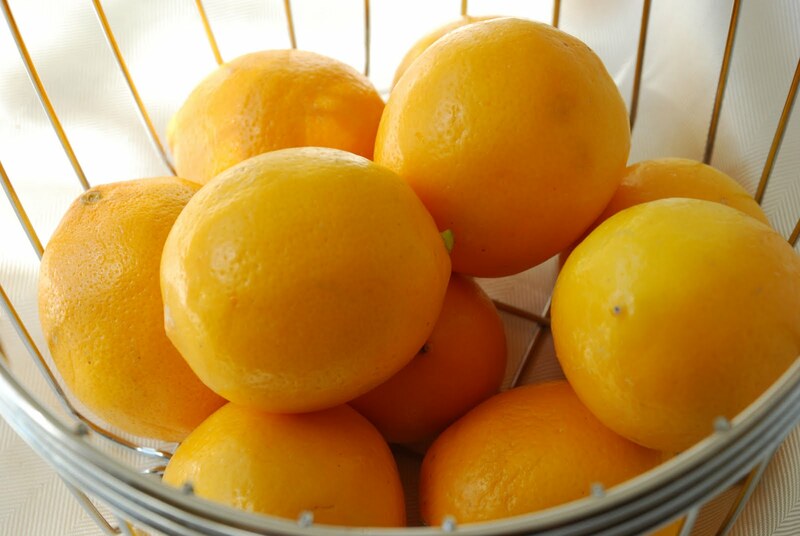 my favorite are the not-so-sour meyer lemons. my gma had a tree in her southern california yard. now that she moved, I'm supplied by a socal uncle with the same. I just used up the last of them from my visit in feb--a couple pitchers of lemonade, lemon squares, and lots of lemon slices later. time for another visit to refill! It's almost 90 degrees here and a glass of lemonade sounds amazing right now! What a lovely post, full of memories; and what a refreshing drink. How simple, yet utterly refreshing! I'll have to hunt down a passion fruit to add this year... I'm fortunate that mint has escaped and grows wild in my stream! So nice to visit with you again! like your reminiscence of lemonade. so homey. during my childhood mom was on a kick of that orange drink crystal mix that went into space.